The real estate market is a predominantly visual one. People likely wouldn’t purchase a home without first seeing it with their own eyes, and they’re even less likely to visit an open house or a inspect a property without first seeing videos or pictures of it first. That’s just how the business is and people aren’t going to invest in a property unless they can actually see it for themselves. While real estate video marketing isn’t exactly new, there’s a new wave of YouTube real estate content that is set to help the industry grow substantially. While photographs and even 3D tours have been used for a long time in the real estate market to advertise to buyers, YouTube is an underutilized platform that many real estate agents rarely think about. After all, YouTube is thought to be a platform to entertain and there’s very little that could be considered entertaining content in the real estate world. At least, that’s what most people think nowadays. The reality is that YouTube is a real estate video marketing opportunity that few people have taken advantage of thus far. 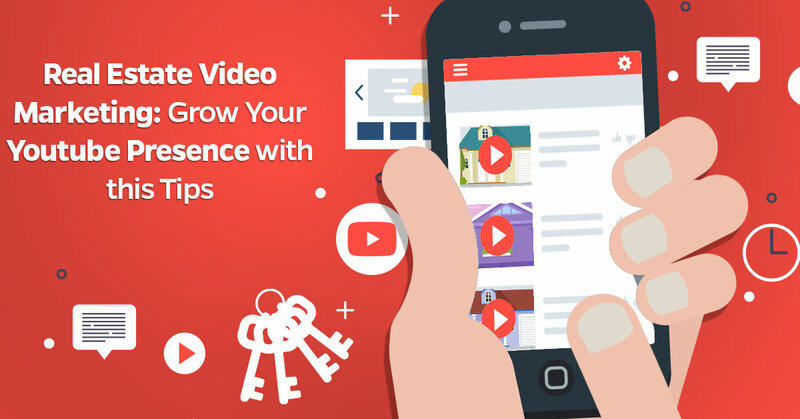 YouTube real estate content is few and far between and there are countless uses for the platform–you just need to know how to use YouTube to grow your business. In this article, we’re going to discuss real estate video marketing and how you can use YouTube real estate content to grow your presence, but also how you can grow your channel and attract more users. Having goals helps you define what you want to use the platform for. All businesses use YouTube in various different ways. Some businesses prefer to use YouTube as a way to store all of their advertisements and trailers, and they generally only use it for video storage and to embed their videos into blog posts and websites. This is fine and is generally seen as an acceptable way to use YouTube as a business, but it can become so much more if you’re open to the possibilities. Some people use YouTube as a means to grow their exposure on the internet, and others use it to gain a wider audience for other products so they can make more profit from their business. You should think about the goals you have on YouTube’s platform and what you want to achieve. Whether it’s growing your audience, getting people to purchase a home or even just entertain them, your goals are going to become a fundamental pillar of how you utilize YouTube real estate video marketing. One of the secrets of YouTube success is to create content that a wider audience can appreciate. This often means creating content that is easier to understand, contains fewer technical terms and is generally interesting for your viewers. The key thing to remember here is that if your goal is to simply grow your audience and get more customers, then you can actually very easily achieve this by creating entertaining content. Some examples of entertaining YouTube real estate content could include “five of the best homes in the x neighbourhood” or a timelapse of a renovation that takes place in one of the properties that you plan to sell. You can also include educational content, such as “how to pick the right home as a new family” or “choosing a home that fits an elderly relative”. This type of content is not only easy to understand and often relevant to your audience but also entertaining or educational, meaning it provides value to your viewers even if they’re currently not planning on purchasing a home. This is just an example of how you can utilize content in order to reach a wider audience and there are many more examples that could be listed. In general, you’ll want to create YouTube real estate content that is high-quality and sets itself apart from other YouTubers. This will help you grow your real estate video marketing plans and give you a wider audience to speak to through your videos. As long as your content is creative, unique and consistent, you’ll find that your audience will steadily grow. To create solid YouTube real estate content, you’re going to need a plan on how you approach video production. Any real estate video marketing campaign is going to need some kind of director or video content expert, but there are also some simple in-house content ideas that are perfect for smaller teams. For instance, if you don’t quite have the money to hire expensive cameras and voice over actors to show off the homes that you’re selling, then you could create simple animations that explain various things about real estate or even give people very simple lessons on how the real estate business works. Educational information is often very easy to explain with animations and simple graphics using readily-available tools. These aren’t very expensive for the investment and can provide you with simple yet effective content to put on your YouTube channel. Of course, if you really want to create high-quality real estate video marketing content, then you’ll need to hire an outsourced video production service that is not only affordable but effective as well. Although there are plenty of services out there that can help you produce excellent YouTube real estate content, there’s actually another unique option that might not require money at all; working with other YouTubers. YouTube is a social platform so it means you can get in touch with other creators that may have small followings and would like to work together with you for one reason or another. For instance, if there’s a YouTuber that creates technical real estate content such as lessons about how to sell properties or things to look out for when renovating a property, then you could always work together by striking a deal. They can use your properties as examples to explain their points and you get the exposure by allowing them to film inside of your properties. This is a great example of how interaction on YouTube can lead to unique partnerships that ultimately benefit both parties. Video title – Video titles shouldn’t be clickbait. Instead, they should illustrate the core point and narrative of your video. Use keywords to make it stand out and keep it short and simple so that it’s easy to read. Video description – Descriptions will typically be cut off and require the user to click to see more information. Don’t write up a huge paragraph of text because it’s unlikely that users will read it. Instead, you should think about adding things like a table of contents so that your user can easily flick through a large video and also give some background to explanations if needed. Thumbnail creation – Thumbnails need to be created in order to attract more attention. You can use simple image editing programs to pull stills from a video then overlay some text such as the title of the video or additional images to help explain the message of the video. Release schedule – Sticking to a consistent release schedule is a fantastic way to grow your audience and get more attention. People prefer it when a YouTube channel puts out regular content and it helps if you stick to a release schedule so that your videos come at predictable times. Social media mentions – You should be linking your real estate video marketing campaign with any social media campaigns that you may be running. At the very least, you need a way to inform people that you’re creating videos and posting them as YouTube real estate content. Utilizing tags and categories – Remember to set tags and categories for each of your videos so that even if someone doesn’t know much about your products and services, they can still end up stumbling into your videos through YouTube’s search functions. Embedding videos – If you have a blog or a website, then embedding your videos is a fantastic way to get them noticed. Growing a YouTube real estate channel isn’t easy, but if you want to take advantage of real estate video marketing, you need to start thinking outside of the box and using new tools to help you grow your business. 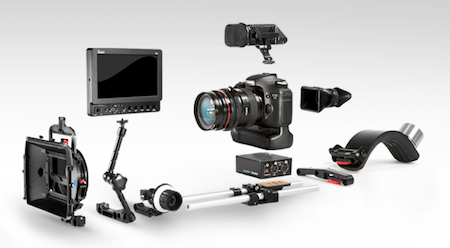 Whether it’s picking the correct style of content to create or choosing the right video production approach, there are countless things to consider when growing your channel. Hopefully, these tips have given you a sense of direction to follow and will assist you in transforming your real estate business’s YouTube channel into something appealing to your audience.